Gorgeous TW Lewis BASEMENT home that rarely comes on the market! Original Owners spared no expense! Welcoming front courtyard w/ gate! Newly painted main level in March 2018! 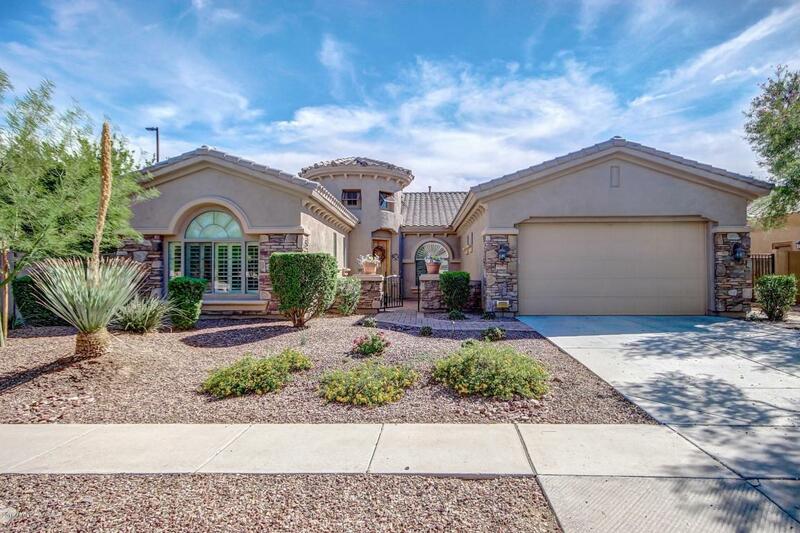 Gourmet kitchen w/ level 4 slab granite counter tops, tile back splash, stainless steel appliances,raised panel cabinetry, HUGE kitchen island, built-in refrigerator,under cabinet lighting. Ceramic tile upgrade throughout! 8 foot doors, Satin finish door hardware, Custom shutters, Family room w/ custom lighted niches & built-ins! Master bath & shower w/ tile surrounds & raised vanities. Classy closet built-ins, Central vac, security system! FULL BASEMENT includes Game room/family room, bar w/granite, refrigerator, sink cabinetry & custom lighting. Resort like backyard w/Huge pool & spa! SO MUCH MORE! Cross Street Germann / Power Rd.